It’s the most wonderful time of the year… sweater weather that is! There is nothing better than pulling out all of your cozy sweaters from the back of your closet. Or in our case, adding to our sweater collection with the latest and the greatest styles! We’ve rounded up some of our favorite new and trendy sweaters that you’ll be dying to add to your rotation! A fancy sweater for a night out! Yet still providing you the right amount of comfort. Make your statement with these cool cutouts. Lightweight enough to wear alone or paired under a denim jean jacket. Floral embroidery will never go out of style! Step your sweater game up a notch with this feminine sleeve detail. Those chilly days were simply made for cardigans! This style comes in plenty of colorways to choose from and can be easily dressed up or down. Perfectly oversized. Pairs well with ripped denim, flats, coffee, and a messy bun. Shop all sweaters and cardigans online or in your local Glik’s for your coziest season yet! It’s almost August, which means it’s time to start thinking about back to school shopping! I know some of you may be thinking, “UGH, do we have to? !” But, back to school shopping can be super fun since it’s the time when you get to start picking out your new fall wardrobe and be oh-so stylish walking down the halls. Keep reading to check out our top picks for Fall 2018! The most staple of all fall outfits is this look. It is great for almost any occasion, and can be SO versatile since there are SO MANY ways to achieve this look! If it were up to us (and this heat wave would go away) we would be wearing a cozy cardigan every single day. Finding a cardigan, or sweater, that is made with a textured knit fabric is the way to go! It gives your look a pattern, while still wearing neutrals. Denim is also a staple piece to stock up on for fall. As the temps start to drop, you will need a few core styles of denim jeans to rotate through the year! Kancan Jeans and Flying Monkey Jeans are two of our favorite brands that we swear by. They offer different styles and fits, while all being so comfortable and sculpt to your every move. One of our go-to looks is denim on denim. This put together look can be achieved by wearing your favorite denim jeans (or jean skirt) and pairing it with a jean jacket or button up chambray top. To let your personality shine, wear a graphic tshirt underneath or add your unique accessories to add a pop of color. If you haven’t hopped aboard the sherpa train, or if you’ve been living under a rock and have no idea what a sherpa pullover is, now is DEFINITELY the time. Sherpa is huuuuuge for fall, and now is the best time to stock up on your favorite styles! (PS. These are amazing Christmas gifts.) You never have to worry about being freezing while sitting in class, or putting on a bulky winter coat again. They are literally so warm and cozy, you’ll never want to take it off! A great pair to sherpa are beanies! CC Beanies are our favorite beanies to wear when it gets cold. They offer a variety of colors and styles, that you’ll be sure to find one that suits your needs. Go ahead and shop the photo shoot here, and check out the rest of our fall picks on Glik’s Official Instagram! There is something about fall and the weather changing that just makes us want to dress for the season. Maybe it’s the leaves on the ground or the chili mornings that makes us wake up and sip on our hot coffee. Either way, we will most likely be wearing a sweater! This year it is all about the chunky, oversized sweaters. Stay trendy this season by trying different necklines with your sweaters. Some of our favorite necklines this year include cowl, turtleneck, keyhole, and crisscross. Another trend that is hot this season is the cold shoulder and off the shoulder look. Although it’s not ideal for the colder weather, it is an adorable look that you just can’t pass up! The bigger the better! We all have our favorite sweaters and a chunky sweater is mine! Something about the oversized fit that just makes wearing chunky cable knit sweaters that much more comfortable. These oversized sweaters are perfect for pairing with your favorite skinny jeans. Take comfy to an extreme and wear it with leggings this season! Stay trendy and try a little half tuck in the front of your skinny jeans for a chic look that shows off the waist definition. Sometimes the big chunky sweaters aren’t for everyone! You can always try a lightweight sweater that features different necklines. One of my favorite necklines is the cowl neck. The cowl neck is loose and breathable which is the perfect mix of laid-back and trendy. Don’t let the cold stop you from being trendy this season! Cold shoulder tops are a hot item this year and they have now made it in a sweater. My favorite cold shoulder sweater this year is from Elan. 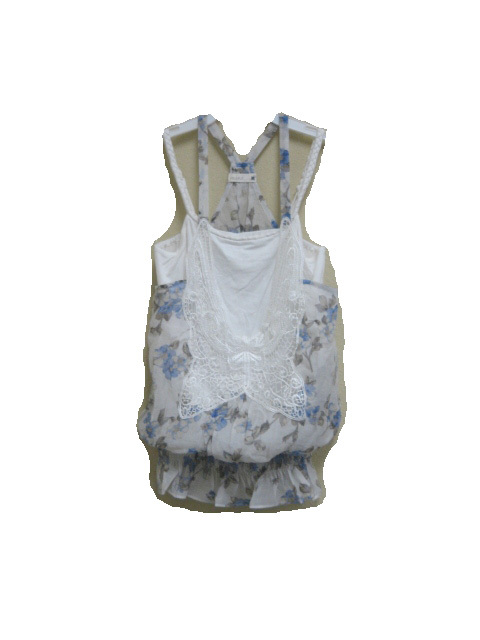 It features a lightweight knit material that is flowy making the perfect fit for anyone! Cold shoulder sweaters are perfect for the transition from season to season. Add one to your closet TODAY! Have you been looking for the perfect sweater for this season? Well, the hunt is over! Fall in love with Freeloader Clothing. Crafted with an ultra soft brushed fabric, these sweaters will keep you warm and looking stylish. Freeloader has a variety of styles of tops and sweaters for women and girls that are crafted with the same super soft fabric. With a neutral color selection, this line of cute sweaters will match everything in your closet! Our current selection of Free loader tops includes colorways of heather grey, oatmeal and olive green. The different cuts of tops include cold shoulder, cowl neck, open cardigans, hooded tops, and many more! Free loader sweaters are the perfect piece for layering. These light weight sweaters will pair perfectly under any vest. You won’t go wrong adding these sweaters to your wardrobe this season! How will you style your Freeloader shirts this season? Polly & Esther are our favorite plaid shirts here at Glik’s! We took this red and black buffalo plaid shirt and wore it three different ways. What is your favorite way to wear your plaid shirts? Simply throw your plaid shirt over your favorite graphic tee for a casual but trendy look. We paired our favorite “Just A Small Town Girl’ graphic tee with our red and black buffalo plaid shirt and a pair of distressed black Flying Monkey skinny jeans. Add a beanie to this outfit for a more edgy look. Stay warm and cozy this season by layering your plaid shirts under a chunky sweater. Just a little pop of the collar will give this sweater a whole new look. Adding a hat to this outfit will give it a classic look that everyone loves! We are loving this 90’s look here at Glik’s! This old school tie around your waist kind of style is coming back! We tied our plaid shirt around our Piko t-shirt dress and paired it with combat boots and boot socks for a simple, but edgy hipster look! If there’s one trend you try this season, it must be the Coatigan trend! What is a Coatigan you might ask? Well, it’s the brilliant idea of a coat and cardigan hybrid. The Coatigan is designed for the trendy chick that still needs to stay warm but wants to continuously look fashionable. These open fly-away cardigans are virtually replacing the coat this season. Coatigans come in many different shapes, sizes, and colors. We carry amazing brands such as Elan, Jack and BB Dakota, and Love Stitch that have designed Coatigans with fun prints and patterns. An Aztec or southwestern print is great for your fall look. No matter your style, Coatigans can fit into your wardrobe. For the edgy type we even have Coatigans with faux leather embellishments. Glik’s also carries basic colors with simple silhouettes for the girl with a sophisticated style. Coatigans are perfect for the days that are not-too-hot and not-too-cold. They look great with jeans, leggings, dresses, shorts, or whatever else you want to pair with them this fall. It’s up to you how you want to style your Coatigan! How will you wear it this season?? Are you excited for the holidays? Seriously, Christmas is only 10 days away, and I cannot believe how quickly time has passed. I want to send out a big “Congratulations” to those responsible people who had strategically planned and prepared for this time of year! I bet your Christmas trees are already beautifully decorated and stuffed full of wonderfully wrapped gifts. I’m slightly envious of your “I’m on top of my game” abilities. I would like to classify myself in that charming group called “the rest of us.” Members of this group like to define their holiday behavior as “risky.” We tend to live on the edge, a daredevil of sorts in regard to our gift giving choices. Our logical action plan is to stalk the sales, waiting to the proverbial last minute when the final holiday storm hits and the sea of (fellow) holiday shoppers swell and crash like waves of (almost there) bah-hum-bug attitudes. We are the Evel Knievals of our chosen profession, and we like it! So… to spread the love AND to assist in producing your warm & cozy, happy holiday thoughts I have compiled a list of MUST-HAVE outdoor apparel from three of our major outerwear brands! Be sure to check us out online for great holiday deals (sales) on popular brands! Let us help produce your “happy thoughts” this holiday season!! Have you ever heard the statement “Dynamite comes in small packages”? You will believe the truth in this statement if you ever have a chance encounter with this spunky lady. LeaAnn is a Regional Manager for Glik’s, she has seen this company along with its fashion grow & flourish like wildflowers. Let’s not forget to mention LeaAnn’s blooming style is as colorful and chic as her personality. Since we are so close to the “most wonderful time of the year,” I just had to have a little Q & A with LeaAnn and get her choice picks for the holidays. Me: So LeaAnn, how would you describe your personal style? LeaAnn: I love pieces that are comfortable yet trendy. Me: What would you say is one thing that you can absolutely not live without this fall/winter season? LeaAnn: Boots, Boots, Boots! Boots with jeggings, Boots with leggings, and Boots with dresses! Me: There are so many fun trends for this Holiday season. What is your favorite trend so far? LeaAnn: Sweater dresses! They are warm, cozy, and go great with leggings and boots! Me: Lastly, would you share with us what your top 3 picks are for this Holiday season? LeaAnn: Sure. I, of course, love the Marilou sweater dress. I am also a HUGE fan of fashion boots; pair them with skinny denim, tights or leggings. For the guys I would definitely have to suggest the Men’s Better Sweater from Patagonia. I just love this eco-friendly brand. This happy-go-lucky lady is an Area Manager for Glik’s, overseeing several stores in the state of Missouri. Mrs. Rachel Thacker has a great personality with plenty of positive attitude to share with others. Let’s not forget to mention that she has a great sense of style, and she loves to share her knowledge of fashion trends with others. Me: So Rachel, how would you describe your personal style? Rachel: I like to keep my style classic, but fun by wearing jeans and tops with rhinestone accenting. Rachel: I’m a huge fan of fashion scarves. They make great add-ons to any outfit. Rachel: I really love animal print patterns and oversized sweaters. Layer up any outfit and top it off with a cute animal print accent. Rachel: I love all of the trendy oversized sweaters and open front cardigans for women that are out right now. I am also a HUGE fan of animal print footwear; pair them with skinny denim, a basic top and a scarf for a classic look that is so versatile. For the guys I would definitely have to suggest a casual pullover hoodie from the not new brand 3rd & Army. The New Year is here which means a whole new year full of fresh and hot new fashion. It can be pretty overwhelming with all of these new trends and new takes on older ones. But lucky for you Glik’s buyers and style experts have stalked the streets if LA and New York to bring you the best styles of Spring 2011. 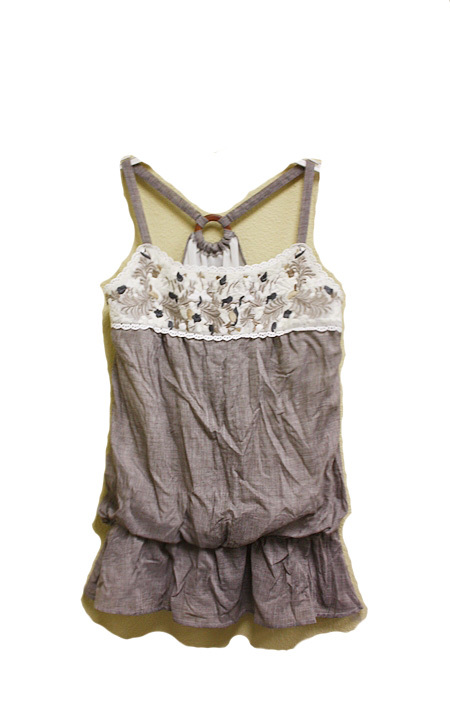 The Bohemian look is making a steady come back this spring with Peasant tops, loose printed dresses and flirty floral. Anything with a crochet design is also hot for spring. Glik’s had a few fly away sweaters with crochet detail this winter but now it can be found on tops, dresses, vests and more. 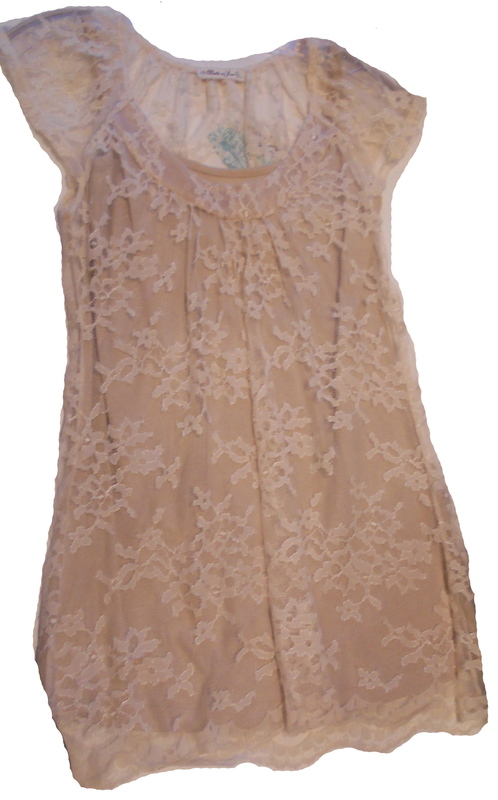 Lace is also staying strong for spring, with more of a delicate vintage look instead of the tough black lace of 2010. Flower child is in for spring with these trends. 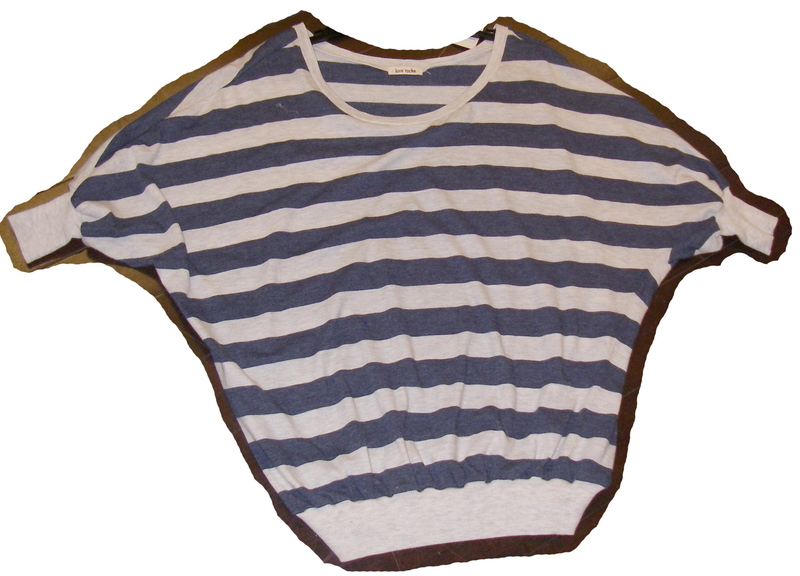 The dolman top trend that I blogged about previously is continuing on into 2011. We have a ton of brightly colored and striped dolmans in stores right now. These tops will look best with a scarf and leggings for the remainder of the cold months and great with shorts and a necklace for the warm ones. A little bit of the strong military trend from this past year is finding its way into 2011! At Glik’s we have light canvas and cotton utility jackets for the colder spring mornings and nights. My favorite is by Jack, I can already see myself throwing it over a cute crochet top! Cozies are kind of like fly away sweaters without sleeves, perfect for the warmer weather of spring. These vests are perfect for the layering look, whether it’s over a dress or jeans and a tank top. Cozies can be that extra layer that takes you from fashionable to fashionista. 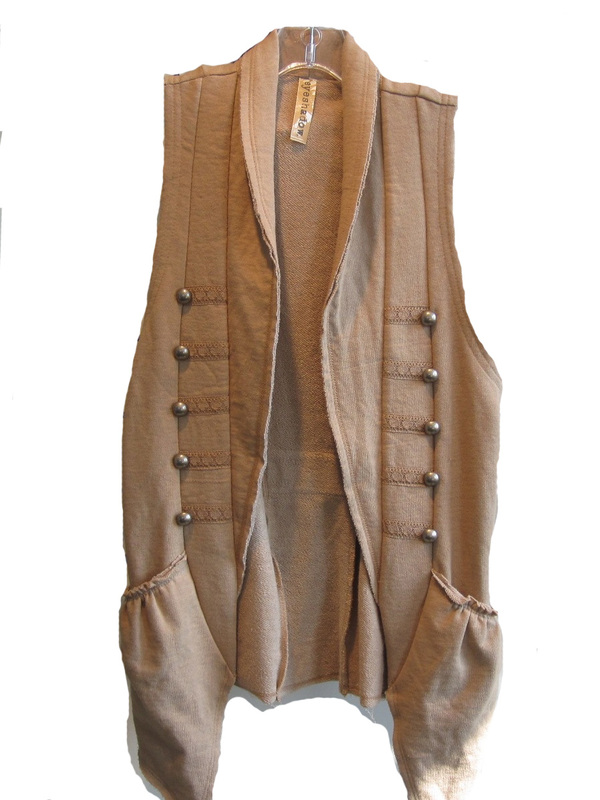 Sleeveless vests have a similar look to a Cozie and are also a must-have for spring. The brand Sinful is hot off the city blocks of Los Angeles with tops that are more then your average t-shirt. 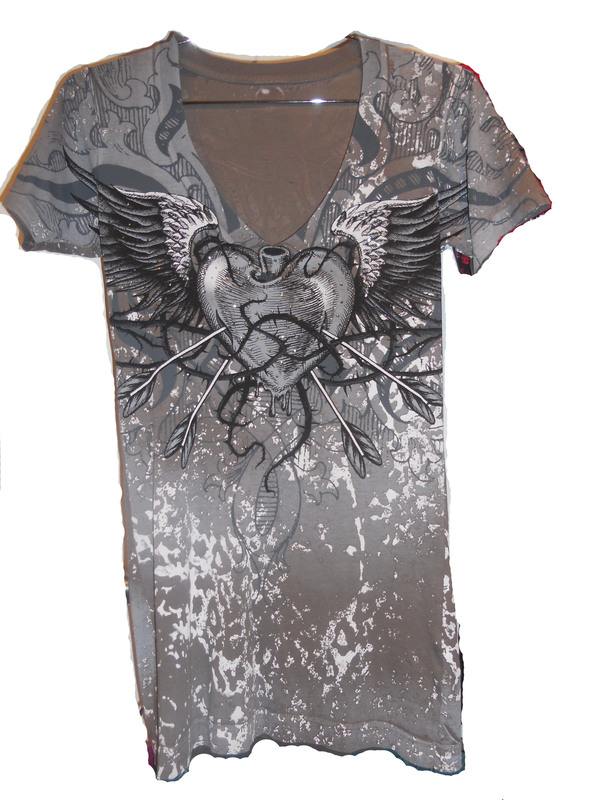 These edgy shirts display artistic symbols like hearts, crosses, wings ect. and are commonly embelished with stones or metallic detail. Sinful takes your spring jean-and –a-t-shirt to a whole new level. Mixing knits and woven is also hot for spring. 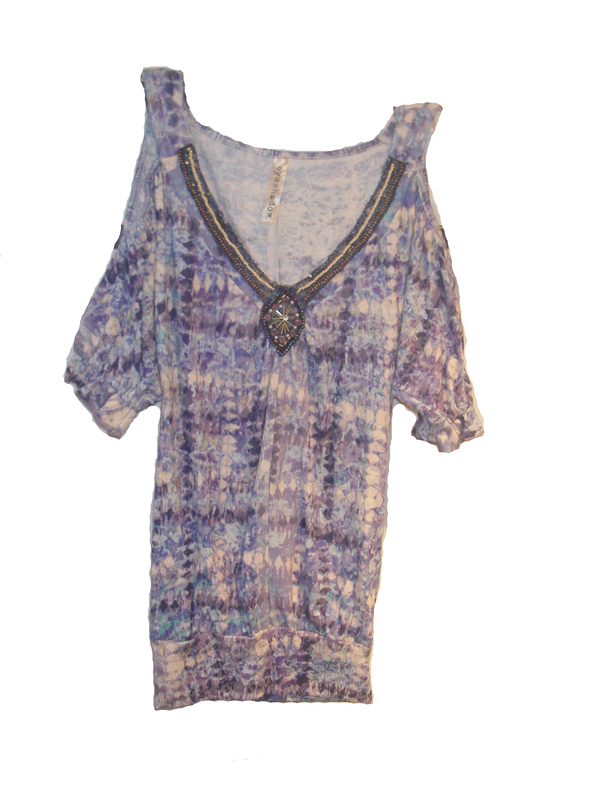 Having a top with knitted detail on top of a classic woven is called “Mixed Media”. This trend takes a classic look and turns it edgy with the blend of two fabrics. The Cut-Out shoulder trend adds sass to any outfit. Dresses with Cut-Out backs or sides were hot for 2010 but for spring 2011, it’s all about exposed shoulders. 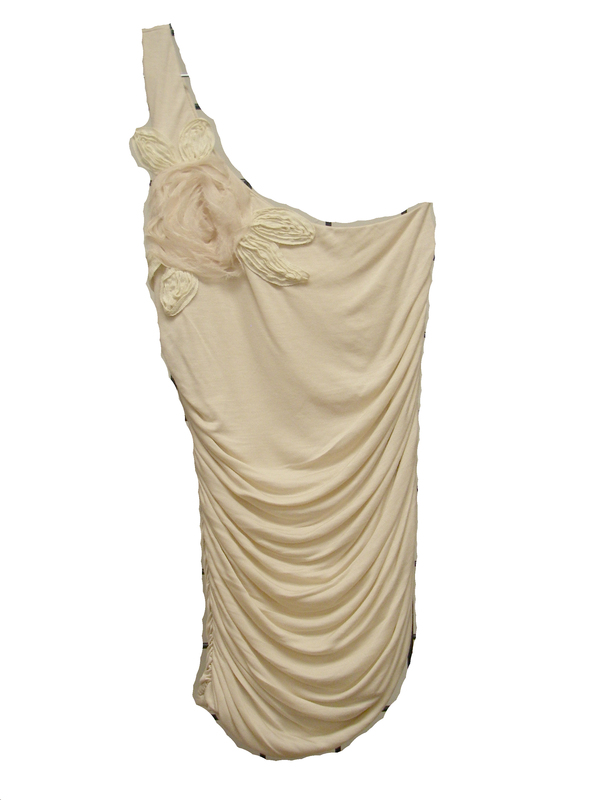 Another trend with exposed shoulders are strapless tops. Perfect for the sun in spring and summer. These tops look best over shorts or tucked into a miniskirt. A cute straw fedora would perfect either look. Speaking of shoulders, one trend that is staying for 2011 is the One-Shoulder. Whether it’s a top or a dress, one shoulder is here to stay. The tops look totally fabulous with skinny jeans and pumps. Spring means back to basics, with tanks and tees getting pulled out of storage. Update your plain tank top with a Racerback style one. These tanks are perfect for layering under t-shirts and sweaters, or plain with shorts for hotter weather. If your wardrobe is more classic and you need a basic tank or tee Glik’s has a huge selection of Lycra, cotton and lace ones for whatever style you rock. Stay tuned for more Spring ’11 trends!